It is probably only on the second glance that you will notice the subtle accent of our craftsmen create with their delicate floral inlay work and yet it is a feature to sure to delight for years. Reserved for the upper part of the leg, inside the fallboard and the music-desk the restrained inlay work refines the instrument in an artfully way. 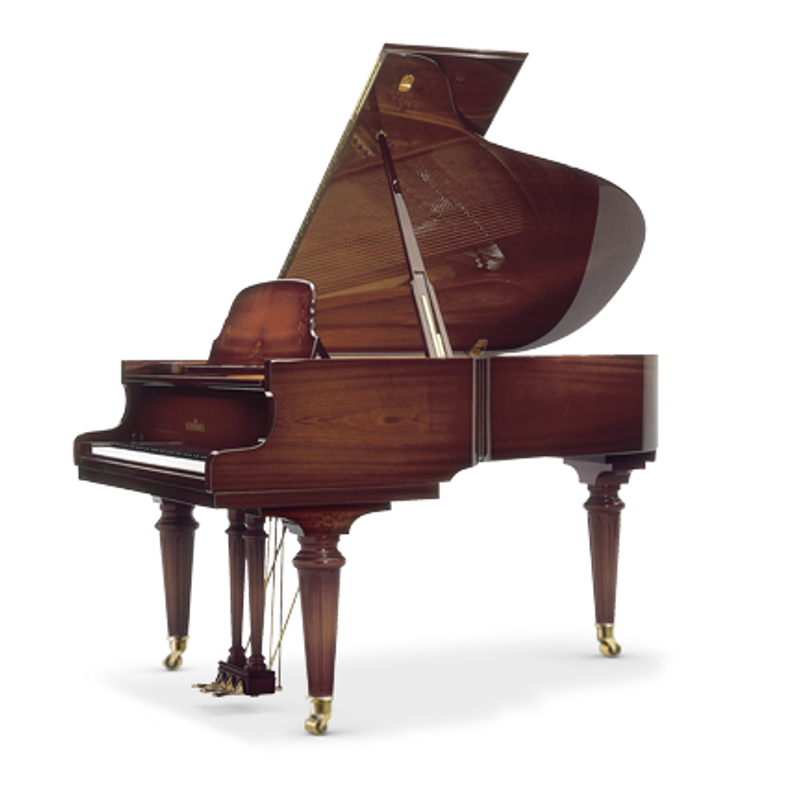 A gentle variation in the shade of the mahogany wood gives the grand piano a harmonious understated whole.